Japan's prime minister note that direct communication between Moscow and Washington was crucial for resolving global issues. TOKYO (Sputnik) – A range of international issues cannot be settled unless Russian President Vladimir Putin and his US counterpart Donald Trump have direct communication, Japan’s Prime Minister Shinzo Abe said Monday. "President Putin is a person who keeps his promises. 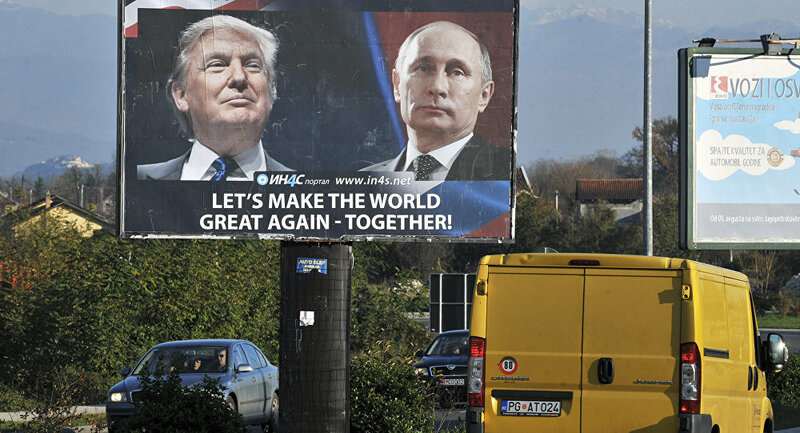 Problems, namely in Ukraine, Syria and Iran, cannot be resolved unless there is direct communication between President Putin and President Trump. I stressed that constructive participation in international issues is important," Abe told the NHK broadcaster, following conversation with Trump. Abe held official talks with Trump during his visit to the United States. The sides discussed the situation in the world, including US-Japanese economic ties and possibility of Trump’s visit to Japan throughout the current year. On February 5, German Foreign Minister Sigmar Gabriel expressed the point of view similar to Abe’s, saying that potential rapprochement between Russia and the United States could contribute to the settlement of international crises, such as the ones in Syria and Ukraine. On January 18, Trump held phone conversations with the world leaders, including Putin and Abe. After the leaders' phone talks on January 28, the Kremlin and Foreign Minister Sergei Lavrov said the presidents had noted the importance of respect in relations.